The postman finally delivered my copy of the album yesterday and I’ve been listening to it non-stop since then! 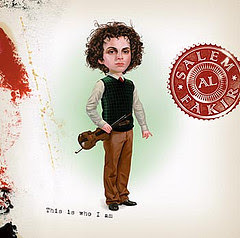 The first thing you notice is that he’s no longer Salem Al Fakir, just ‘Salem’: the clearest indication yet that an international career is finally in sight (without anyone worrying how to pronounce his surname, and to avoid the narrow-minded attitudes of those sick and stupid people who may have a negative view of the origins of his surname). On the CD cover, which I’d describe as ‘enigmatic’ Salem appears unrecognisable. However, when you put the CD on, you will get that reassuring feeling that despite any change in his look/name/musical style/songwriting themes, he is still distinctively....Salem. Just like his debut album all songs are written, produced and arranged by Salem himself and he still mainly plays most instruments but this time he’s also involved members of his band on some of the songs too. (Check out the album sleeve notes for more info). Much as I love "This Is Who I Am", the lyrics on that album were maybe a little bit simplistic in places. Salem has clearly developed as a lyricist since that time and his lyrics have improved so much. What we have to remember is that Salem is not a native English speaker yet he now writes as if he was one! There is the well-known "difficult second album syndrome" which many artists suffer from, they can’t follow up a successful debut and the result is inevitable failure and disappointment. Anyway here is my track by track review, based on my listening to the album over the past 24 hours. "I thought I was the greatest one/of course I wasn’t". Wrong, Salem. Because it is very clear from the beginning to the end of this album that he clearly is. If the lyrics express a little self-doubt and anxiety, the piano lines running through this song are sophisticated and jazzy, the musical arrangements elaborate and effortless, and Salem’s voice is strong and confident. The result is a very impressive opening track and it’s not surprising that it is already very popular with critics and fans alike. Salem plays all instruments on this song. I like the clarity of the production which brings Salem’s voice to the forefront. "I understood what she was up to/it was planned from the beginning and the plan was carried through/and I’m still in the middle"
The major change/development in Salem as an artist, for me, is the emotional depth which has come into his singing and songwriting since the last album. The title track (and second single) is just beautiful. On this track, there is such sadness, emotion and regret in Salem’s voice that you can’t fail to be moved by it. At about 1:30 into the song there is a little moment where it stops and starts again ("...she left him to be with me") and that particular moment always gets me every time. The best thing about Salem’s songs is that you can listen to them over and over and over again but you will never get tired of them: "Astronaut" is yet another example of that. Track 3: "Now’s The Time"
"It’s beautiful/every little step they take"
No matter what musical style he takes on, Salem never sounds out of place, and on this song he manages to succeed yet again. Track 4: "It’s Only You (Part II)"
"If you ever will be mine....I will never ever let you down". The first single released from this album. Not so much a re-recording of the original album track from "This Is Who I Am", more of a reinvention, although it still remains a beautiful and uplifting song. Much has been written about the ‘new’ Salem - how he’s cut his hair, dropped his surname and gone all "serious". What hasn’t changed is his unique ability to create music which makes you feel happy to be alive. This song still sounds as fresh, wonderful and inspiring as it was the first time I heard it, and thanks to its use in the Volvo XC60 commercial has introduced Salem’s music to a wider international audience. "I feel a burning sensation/in the region below"
I could see this song being a hit in Britain because of our fondness for 80s music nostalgia, but I can imagine the British radio censorship police having a problem with some of the lyrics!! This song always makes me smile though, it’s cheeky, naughty and great fun. It will definitely become a favourite at Salem’s live concerts. "We better all watch out/evil is hiding in the bluest eyes"
I only heard this (and "Cold Shower") for the first time last week when Salem played live on Swedish Radio and immediately I was hooked. Atmospheric, with an almost early 70s laid back rock sound to it. The lyrics are darker than what we’ve previously been used to, but it’s most certainly not a depressing song: instead it’s extremely melodic, with a very memorable chorus. This immediately became one of my favourite tracks on the album and I just know it will become one of my most played songs. I think that this song could surprise a lot of people who may not be fans of Salem’s music. "For how long have you planned to hold me back?/I almost lost it but now I’m back on track/Hey!". I cheered when I found out this was on the album as it had previously got a limited release on the "It’s Only You (Part II)" EP but as this wasn’t released everywhere, many fans missed out so I’m happy it didn’t get lost after all. This is one of my favourite songs and I never get tired of hearing it. Musically it gallops along to a driving rock beat; lyrically it’s quite funny and nice. The "twelve fingers in the cookie jar" line can’t fail to make you smile. A great song to jump around and sing along to - please play this on your forthcoming tour Salem! "It’s time for me to go/but I wanna play some more/can I stay until tomorrow morning?" This is a live recording from last November’s Berwaldhallen concerts with the Swedish Radio Symphony Orchestra. It has the same sweet lullaby-quality as "Hymn" from the first album, only this is on a much bigger scale. Pretty, and moving, and sweet. The orchestral arrangement is amazing too. his career: I’m sure he would excel at this. "It’s all in a big blur"
I first heard this last summer when the usual phone-footage from Salem’s summer concerts found its way to YouTube. The lyrics are playful and funny, I’d guess that they are about looking back on a wild night out and trying to remember what happened ...lyrics that I’m sure many will relate to. At the moment "Mirror" is my least favourite track on the album, only because I don’t like it as much as all the other songs, but I still like it though if you know what I mean! Track 10: "One of the Others"
"They all stand in line, waiting for you to make up your mind"
Absolutely, without any doubt, my favourite song on this album. I first heard this song on YouTube after Berwaldhallen and immediately it became a classic for me. An uptempo piano-based song with some very clever lyrics. It’s an outstanding and timeless song which could have belonged anywhere in the last 30 years - and I say that as a compliment. This sounds a bit stupid and hard to explain, but the first time I heard this song I was moved to tears even though it’s delivered in such a happy uptempo way. Then I realised it was not because I was upset in any way, they were tears of happiness at hearing something so fantastic. This song absolutely soars above anything else on this album, I guess it’s the point where "old" and "new" Salem collide and the result is four minutes of complete magic. Track 11: "Black Sun Black Moon"
"It’s time to tell the world/a true angel is gone"
This is a demo which Salem recorded at his home studio: it needed to be on this album and personally I think there may have been riots if this had been left off the tracklisting. raw emotion. In one of the Swedish press interviews this week, Salem was asked about this song but found it too painful to talk about it (Someone once told me what it was about, but I won’t go into detail here, with respect to Salem). If you are not moved by this song then you have no heart or soul. With "This Is Who I Am" and now "Astronaut", Salem Al Fakir has already created a body of work which more established and experienced artists can only look on and envy. 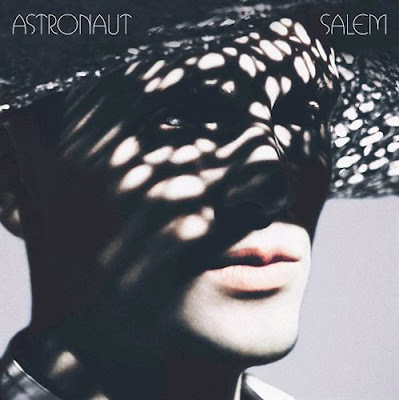 Salem is an artist who has been blessed with a unique and special talent: "Astronaut" is a diverse, ambitious, rewarding and timeless collection of songs. Thank you, Salem, for sharing them with us. Rating: 10 out of 10 !!! Hi Laura, I finally have Salem's second CD-Astronaut. I listened to it from beginning to end and it was magical. I hope to one day see him perform live whether it be here in the states or over in Sweden. 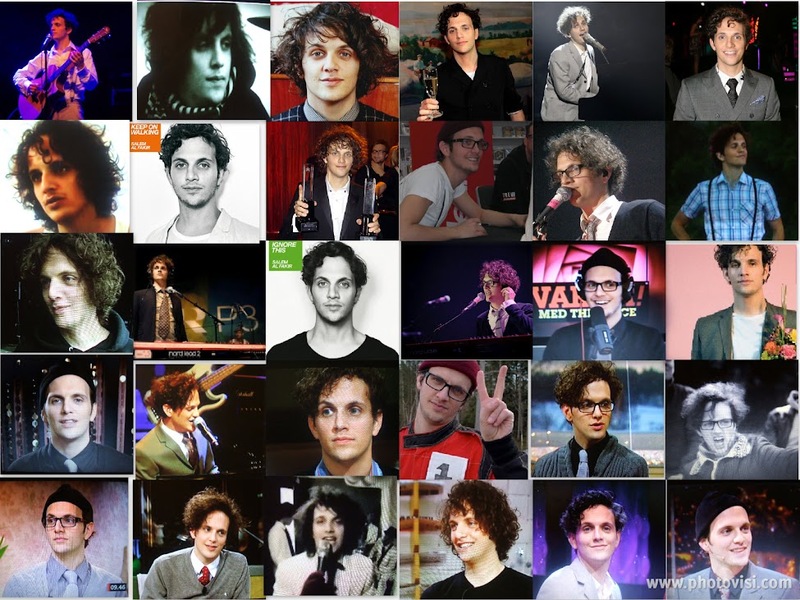 He is so wonderful! Now I just need to work on getting his new release. I really hope you get to see Salem play live - it is a fantastic experience, people in Sweden are so lucky to have the opportunity to see him. 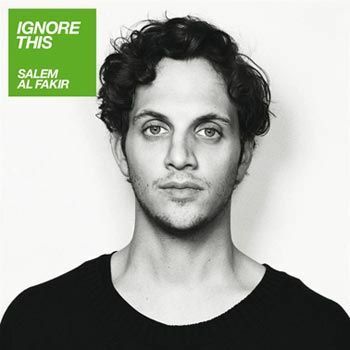 "Ignore This" is very different to "Astronaut" - Salem experiments with more experimental medical styles, but one thing never changes: he is always fantastic. Hope you get the album soon, let me know what you think of it.